SALE! now $195, originally $295 for the pair. 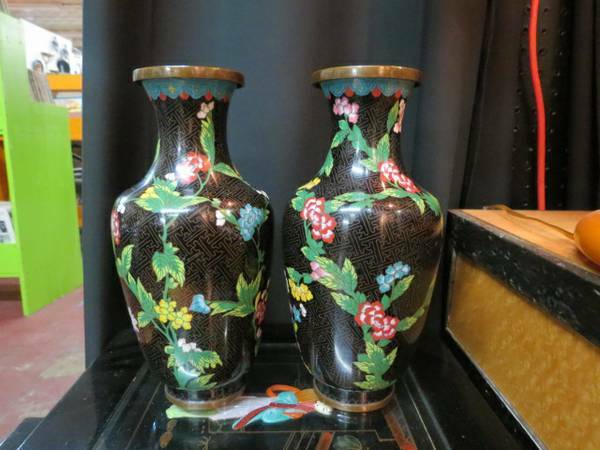 vintage pair of black ground cloisonné chinese vases. 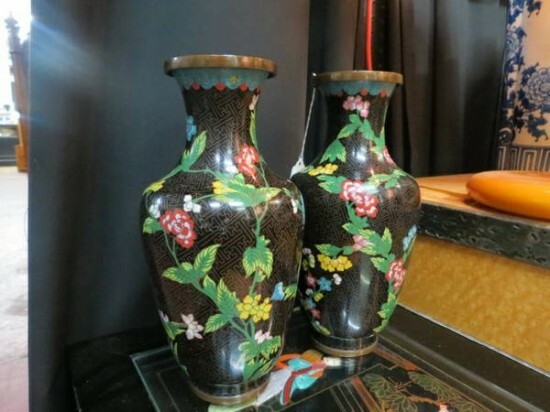 these beautiful black vases have an intricate all-over geometric brass pattern. on top of the patterned background are enameled detailed flowers and leaves. blue decorative bands at the top. excellent condition. 10" tall, 4" wide. SALE! 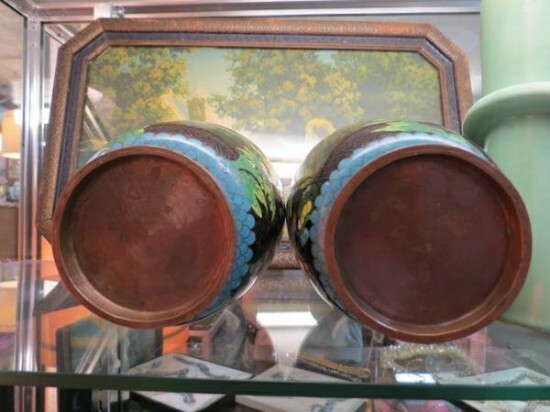 now $195, originally $295 for the pair. 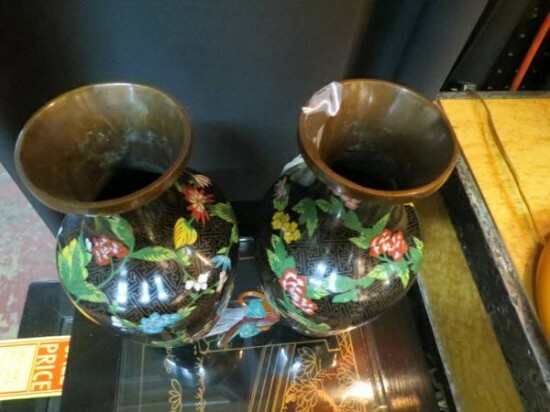 vintage pair of black ground cloisonné chinese vases. these beautiful black vases have an intricate all-over geometric brass pattern. 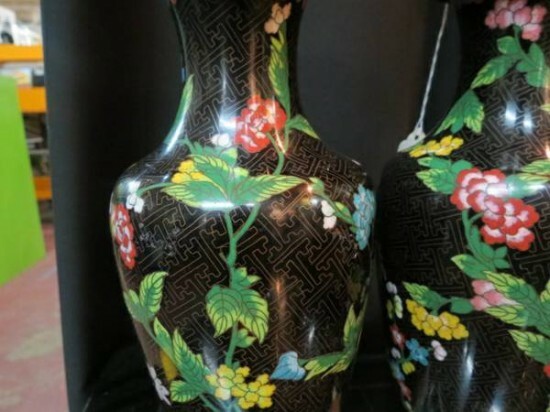 on top of the patterned background are enameled detailed flowers and leaves. blue decorative bands at the top. excellent condition. 10″ tall, 4″ wide.